Chris will explore how brands can embrace the Internet’s screenless future. Chris is a digital strategy director at The Richards Group, where he leads the digital marketing efforts for some of America’s best-known brands in retail, CPG, fashion, and technology. Elizabeth Edwards is an integrated communication professional spearheading an industry-wide improvement in communication, marketing, advertising and public relations outcomes. By using new human behavioral information insights in communication strategies, messages and tactics, Edwards has established an award-winning track record with the some of the most measurable, results and growth oriented campaigns ever employed. Prior to creating the now 17 year-old Volume PR, Edwards mastered communication in all its forms from her tenures with Ogilvy Public Relations Worldwide and The Boeing Company. Today, Edwards has built the world’s first human behavior communication training and support organization where we can all simply learn and apply this game-changing communication to our work and our lives. Topic: What freaks you out? Nicole Frantz began her career at a fine arts journal and came to the music business by the roundabout way of wardrobe styling. Starting at Interscope Records as photo archivist, she became head of the art department before moving to Capitol Records in 2007. Now SVP of Creative Services for Capitol Music Group, Nicole oversees creative for six labels, for such artists as Katy Perry and Beck, as well as apparel and merch for Capitol Goods. She is a mom to two, traveler, music lover, amateur tarot card reader, and enthusiastic over-sharer on social media. John Kreicbergs is a 19-year veteran of the Kansas City advertising, marketing and technology scene. Starting at Bernstein-Rein in 1999, he has served stints at Barkley, VML, DEG and Meers Advertising, working with such brands as Burger King, Visit KC, Hostess Cakes, Blue Cross Blue Shield, McDonalds, and many more. His passion for digital innovation brought him to Propaganda3 in 2013 where he currently serves as the general manager for the firm’s app development efforts. As a result of that work, Kid Rocket Studios — a kids-focused entertainment development startup — was launched in 2014 following the success of Propaganda3’s interactive comic book app “Kung Fu Robot.” In 2015, Propaganda3 also launched a new event-based digital engagement platform called AppTapp. 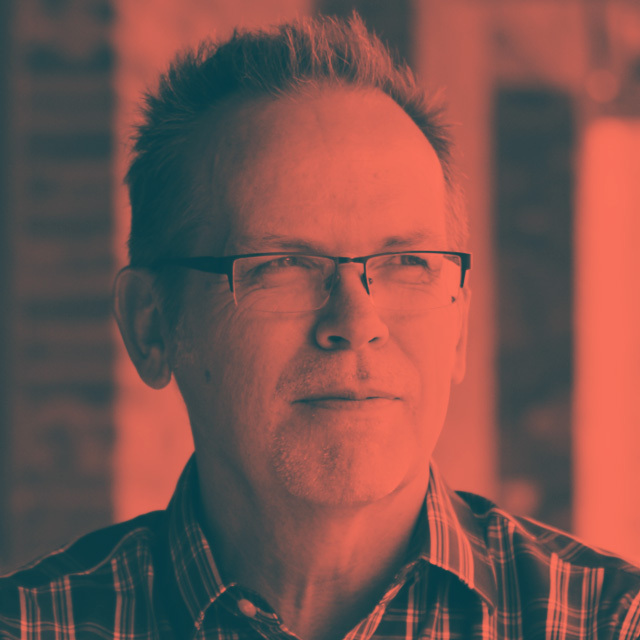 In addition, John is the founder of RKO Workshop, which specializes in museum exhibit design and educational interactive experiences, and is the marketing co-chair for Kansas City’s award-winning Boulevardia festival. Ryan leads the Media Innovations + Technology team and oversees the Centro Institute. In his role, he focuses on exploring emerging technologies, identifying multi-screen marketing trends, and providing strategic guidance on how to invest in new digital platforms and technologies. With over 15 years of digital advertising experience, Ryan is a globally recognized marketing technologist and innovative media strategist. Throughout his career, Ryan has been at the forefront of ad tech serving in a variety of roles as an operations, product, marketing and sales leader. Ryan joined Centro in 2014 and is based in Dallas. Topic: What do dogs, smart devices and “Shark Tank” have in common? Find out in this unique rebrand story. Sean has spent the past decade working with brands large and small in industries ranging from gaming and health care to financial and nonprofit. Currently he leads new business, brand development and research teams at SKAR, helping clients better understand how to differentiate themselves and connect with their audiences through authentic and breakthrough brand identities and messaging. In addition to his work at SKAR, Sean also serves on the board of directors for Grief’s Journey (Formerly Ted E. Bear Hollow), leading the organization through a rebrand in 2016. Sean is well-known for making mouthwatering nachos, dancing like a fool at local music venues and owning a dog that is much cooler than he is. Cathy Solarana is the founding principal and lead designer at Wheelhouse Collective. She’s energized by design and loves partnering with innovative and socially responsible organizations. Cathy and her multi-disciplinary teams employ research, strategy, and idea driven solutions to help her clients achieve their business goals. She believes that the creative process and collaboration should be as exciting as the results — powerful brand experiences that make true connections, are memorable and produce strong outcomes. Along the way, Cathy taught design and concepting at Creighton University and was a senior designer at Bailey Lauerman. She has been active in the local design community since 1999, serving on the AIGA Nebraska chapter board in several positions, including as president, and is currently its Director of Diversity and Inclusion. With more than 25 years of experience in branding, strategy, and design, Solarana’s work has been recognized nationally by The One Show, The Art Directors Club, Graphis, the Print Regional Design Annual, Logo Lounge, and HOW International Design Annual, among others. Shonna is a graduate of Omaha North High School and an alumnus of the University of Nebraska-Omaha (UNO). Her career includes business development (from launching to selling a company), training facilitation, project management, and web development. Shonna is also a community builder who serves on the board for several organizations focused on workforce and community development. Renee Black is the co-founder and senior event producer at planitomaha. Life in the event industry moves fast and Renee, with the planitomaha team, have been doing it for twenty years. Under Renee’s leadership, this event planning group has turned into a powerhouse firm on the regional and national stage. Clients range from Fortune 500 to small start-ups to large community events. Approximately 45% of planitomaha’s business is not located in Omaha but scattered all over the U.S. If you ask her, Renee is most proud of planitomaha being a woman-owned business that today employs 14 women and continues to grow. Renee’s expertise lies in event strategy, event marketing and executive leadership events. She focuses on national client management with companies such as TD Ameritrade and national vendor management with hotels such as Hyatt International. Renee is also the visionary/creator behind a unique event management web platform that over 50% of our clients utilize. In addition to running planitomaha, Renee also serves on several community boards and has just wrapped up her term as President of the Women’s Fund of Omaha. She is also the recipient of several leadership awards and is a published writer and speaker. From Omaha, Renee is a graduate of the University of Nebraska where she earned her degree in Marketing. Renee lives in Omaha with her husband, Jason, and her two children, Tanner and Avery. A nationally recognized branding and marketing thought leader, Mary Ann has been entrusted by some of the most successful brands in the world to help steer their strategic direction. She has led national and global strategic initiatives for Intel, Microsoft, Sony, Gateway, Viewsonic, D-Link and Advance Auto Parts, SAC Federal Credit Union, Bridges Investment Management, Inc. and Creighton University. Prior to founding OBI Creative in 2001, Mary Ann served as Executive Vice President of Marketing at Gateway in San Diego, California, and Vice President of Sales & Marketing at GoAmerica in Hackensack, New Jersey. A pioneer in the study of customer experience, she co-authored the O’Brien Voice of the Customer™ (o.VOC™) study that has served as the foundation for numerous business success stories globally, nationally and within the Omaha metro market. Angela Roeber has more than 15 years of marketing and communications experience, primarily in the non-profit industry. As the Director of Communications for Project Harmony Child Advocacy Center, Angela plays an integral role in planning, directing and coordinating the marketing and communication efforts for Project Harmony’s programs, services, events and campaigns. Within her first year at Project Harmony – followers doubled and the volume of likes and shares experienced through Project Harmony’s social media platforms were the highest ever since the program started in 2013. Angela launched the Project Be Someone Campaign in April 2017 with national recognition – July 21 is now recognized as National Be Someone Day. She has established strong media relations – securing $623,581 in earned media for 2017 with a publicity value of $1,870,743. Angela was invited to present at the National Children’s Alliance 2018 Leadership Conference in Washington, DC this past June where she shared what it takes to build a strong communication foundation, the right partners needed and the creative process for cultivating and engaging all audiences. Tammy Williams, managing director, develops and manages brand and creative advertising strategies at First National Bank of Omaha, an independent and family-owned bank operating in seven states across the Midwest. Tammy has over 20 years of experience in creative visual, marketing and communication disciplines. In her current role, she leads advertising and marketing initiatives for the bank’s 160-year-old brand and its suite of banking products, to build brand familiarity, favorability and preference. Tammy manages a team of creative professionals as part of Enterprise Marketing, to ensure customers of First National Bank’s products and services understand the bank’s role and presence in consumers’ lives. Prior to joining First National Bank of Omaha in 2016, Tammy was director of communication and external relations at ConAgra Foods, a leading branded food company, where for more than a decade, she managed the company brand through development and execution of integrated marketing communication strategies across the company’s national footprint. Randa’s enthusiasm for marketing and advertising as a career and lifestyle keeps her at the leading edge in strategic digital communications. 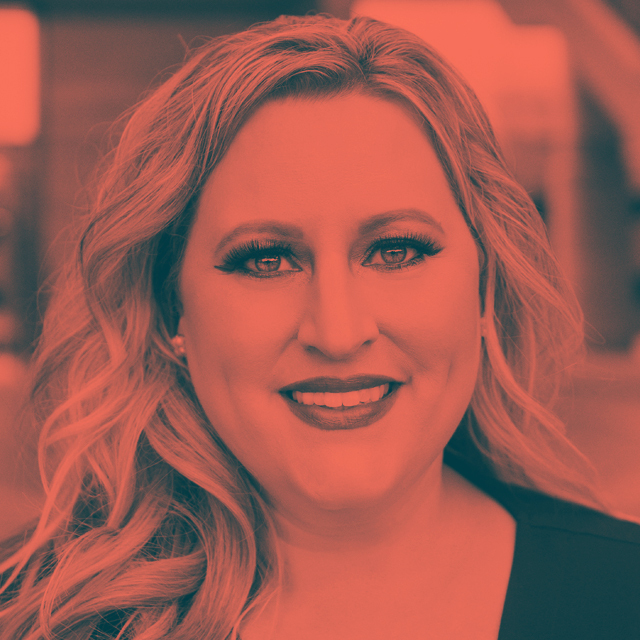 Having worked as an account director at major agencies in Nebraska and in Chicago, Randa has developed expertise in managing projects incorporating a wide variety of disciplines including branding, media, print, interactive, digital, public relations and project management. Randa is a recognized thought leader on the power and appropriate use of new media including social media and digital placement. She has been a featured speaker at seminars and conferences across the globe. Her expertise in social media in regulated industries lead her to be selected to serve on the committee that drafted model compliance guidelines for the insurance industry. In addition to her role on the PRSA Nebraska Board of Directors, she has served on the American Advertising Federation Omaha board and on the board of Insurance Advertising Compliance Association. She is a past president and board member of the Mid-America Direct Marketing Association and currently adjunct professor of Marketing Strategy and MBA programs at Bellevue University. She has a BA from University of Nebraska Lincoln in Communication Studies and Public Relations and a Master of Arts in Communication Studies from University of Nebraska Omaha. She is the recent recipient of the 2018 American Marketing Association Marketer of the Year. Once upon a time, Angel started her career at Bozell where she worked on consumer and b2b accounts. After 14 years and a few additional adventures along the way, she became the VP of Marketing for Right at Home, an international franchise organization, and then a marketing specialist for The Maids International. In 2013 she started Angel Carl Marketing where she acts as an outsourced marketing department, guiding clients through strategic planning and brand development, and then assisting them in, “gittin’ ‘er done.” She has lived happily ever after ever since. Steve Gordon is an award-winning designer, creative strategist, internationally published author, featured speaker; a problem-solver & storyteller, helping to craft and reveal creative solutions to business & marketing equations. What began as an award-winning design career shifted to instinctive ideation, and the belief that functional art must work. It is storytelling, combined with the visual elements, that reveals and elevates a brand. Also a keynote speaker, Steve has been featured at national conferences such as the HOW Design Live conference, the Creative Freelancer Conference and local “Meet the Pros” & BarCamp events. With over 20 years of experience in marketing and advertising, Jen brings a full palette of creative thinking to her work at KidGlov. As VP/Creative Director she plays a key role in creating campaigns for local, regional and national brands. Jen is current president for both Lincoln American Advertising Federation and Camp Summergold. Being artsy is a constant for Jen. When not at KidGlov, you may find her inspiring others through her own company, Pincurl Girls and selling her fine art from her studio at the Burkholder Project. *Well, it was at the time. But times change. John Henry Müller is a Design Director at Hudl, a sports technology software used by teams around the world (including Premier League, NBA, NHL, NFL, NCAA, and 98% of all high school football teams). At Hudl, he focuses on visual design spanning both product and brand design, with a team of over 30 designers. John Henry led the visual direction of Uniform, Hudl’s design system. Before Hudl, John Henry was the design cofounder of a startup called Pack. Before that, he founded a design/dev consultancy called What Cheer, with clients including Squidoo, Hayneedle, Union Pacific Railroad, US Department of Energy and Saddle Creek Records. John Henry lives in Benson, Omaha, Nebraska with his wife, daughter, dog and two cats. He sits on the board of Big Omaha and Maha Music Festival. He was gluten-free before (and after) it was cool. Dave Webster is founder and principal at Webster, where he has helped clients create and communicate the power of their brands since 1982. The Webster team has created and invigorated the internal and external branding efforts of startups, nonprofits and Fortune 500, including Dunn & Bradstreet, AC Nielsen, TD Ameritrade, First National Bank of Omaha, Conagra Brands, Union Pacific, Kiewit, Level 3 Communications, Boston Properties, Omaha’s Henry Doorly Zoo, the Durham Museum, Omaha Public Library, Make-A-Wish Foundation of Nebraska, Nebraska Greats Foundation, UNMC, Immanuel, Creighton University and Boys Town, just to name a few. Along the way, they have garnered consistent recognition from leading industry publications like Graphis, Communication Arts, Print and Graphic Design USA. Webster has earned Graphis Top 100 design firm honors for over a decade and been recognized with International ARC, Mercury, Folio, AMA Pinnacle, PRSA Golden Anvil, AIGA, ADAI, Society of Publication Designers, and National AAF awards. Dave has also been presented with AAF Omaha’s Silver Medal and was named AAF’s 9th District Best Designer. In addition, Dave is a founding member of AIGA Nebraska and served on the board of directors of the Make-A-Wish Foundation of Nebraska. He also has a weakness for 100-year-old bungalows in need of “a little work” and spends his free time with his wife and founding business partner, Sandi, and their seven creative grandkids.